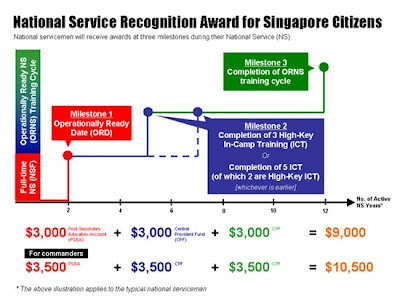 Home Family Singapore National Service Recognition Award For PRs - Are They Not Worthy? National Service Recognition Award For PRs - Are They Not Worthy? When a boy is born in Singapore and neither of his parents are Singapore Citizens, the statement on his birth certificate is not vague, nor can it be misunderstood. You see, for those of my readers that are unaware, unlike many other countries, not every child born in Singapore automatically becomes a citizen. In fact, it is made explicitly clear that the child of parents holding foreign passports is NOT a citizen. Rightly or wrongly? - I'm not here today to dispute this law or to question the fact that dual citizenship is also not allowed... these are discussions (debates?) that could take up a huge number of other blog articles on some other day. "Male children who are granted PR status under their parents' sponsorship are liable for NS under the Enlistment Act. They are required to register for NS upon reaching 16½ years old and will be scheduled for enlistment at the earliest opportunity upon reaching 18 years old..." and furthermore, "...All NS-liable males aged 13 years old and above, are required to obtain an Exit Permit (EP) when travelling overseas for 3 months or more..."
When a family is deciding whether or not to apply for PR status, the consideration of NS liability for their children should not be taken lightly: "NS-liable PRs are expected to serve NS. Renouncing or losing one's PR status without serving or completing full-time NS would have an adverse impact on any immediate or future applications to work or study in Singapore, or for Singapore citizenship or PR status." In short, by applying for, and being awarded Singapore Permanent Resident status, one must recognize that you are making decisions on behalf of your children who perhaps are too young to have any understanding of the implications and which may have serious consequences on their future life choices - even after having been born and raised in Singapore. 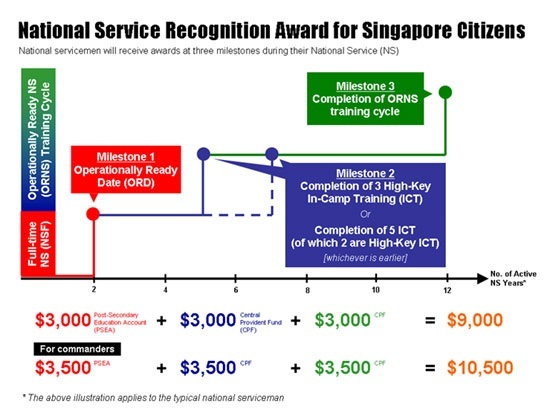 From the MINDEF website: "The purpose of the National Service Recognition Award (NSRA) is to provide sustained recognition for Singapore citizens who serve National Service (NS)." Since the award was first announced, there has been complete transparency surrounding the fact that one must be a citizen in order to be eligible. 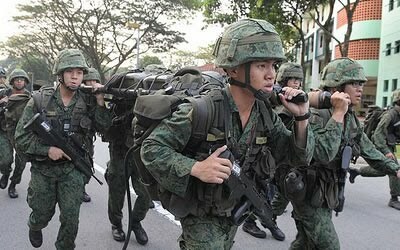 Please don't get me wrong, I am not raising the above points for the sake of the money or any hidden motives - although there may be some PR NSMen that would see the award as beneficial if they could in fact receive it. My question is more of a philosophical one. A male child born in Singapore, who was not allowed to become a citizen when he was born, grows to the age of 16 1/2 years after living in Singapore his entire life, his circle of friends are Singaporeans... the only real difference between him and his friends and peers, is his passport (which he may never have even seen in his life). He then continues to serve out his NS liability, but is not recognised for his efforts as all of those around him have been. "WHY is a PR (permanent resident) male who has served his time in National Service, has satisfied all of the requirements set forth by immigration and MINDEF and has honoured all of his commitments in doing so, NOT eligible for the National Service Recognition Award?" As I've stated above, I am not trying to start a debate any of the factors associated with citizenship birth-rights, dual citizenship, NS liability for PRs or any other factors - I am merely asking what I believe to be a very valid question in relation to service and commitment, relative to fair treatment of all. I am a local born citizen and I do agree that PRs who did NS should be included in this award. Hi, permanent residents who have completed their national service will receive the award, BUT only when they take up citizenship. I think this is just a strategy by the govt to retain foreign talents.